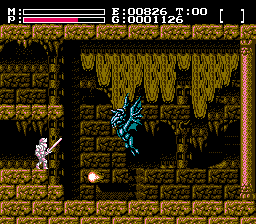 Continue reading "Faxanadu collision detection - Part II (Enemies that were hit by magic)"
Continue reading "Faxanadu - Sprite IDs"
Continue reading "Faxanadu collision detection - Part I (A first overview)"
Continue reading "Faxanadu internals - The screen data decompression algorithm"
Continue reading "Faxanadu internals - Hour glass"
Continue reading "Faxanadu Internals - Wing Boots"
Let's recall what we have so far. 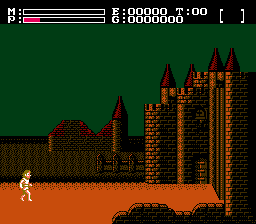 Drawing a screen from the Faxanadu world is a process that is comprised of several different steps: The first step is to read and parse the actual level data from the Faxanadu ROM file (see update one). 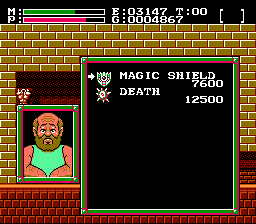 The second step is to find the four 8x8 pixel tiles belonging to the 16x13 block that form one screen (see update two). 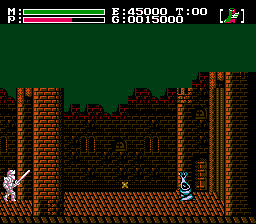 Then it's necessary to find out which color the pixels in the individual tiles have (see update five) but because the color is stored independently from the tiles and because of some other oddities of the Faxanadu level data it's necessary to know how doors and scrolling work (see the updates three and four). 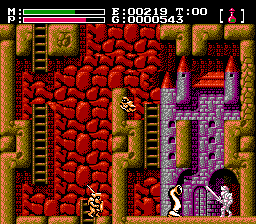 And that last step, finding the correct color for the tiles and drawing the screens is what this update is all about. 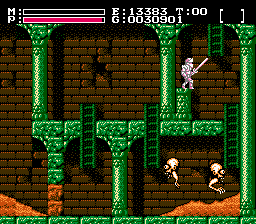 Continue reading "Faxanadu level data VI - Putting it all together"
The mini-series about Faxanadu level data is slowly coming to an end. Today's update might be the second-to-last part of the series if I counted correctly. 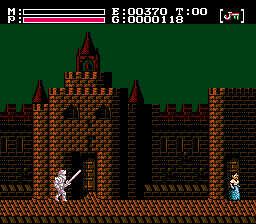 In this update I'm going to explain how to find the correct palette for a given screen. 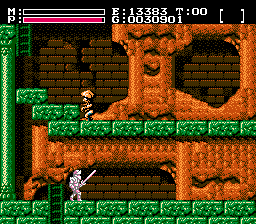 In one of the last updates I had already hinted that choosing the proper palette for a screen is an inductive process, the color palette used in screen N depends on the color palette used in screen N-1 and some other information. 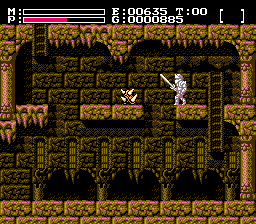 Continue reading "Faxanadu level data V - Palettes"
Continue reading "Faxanadu level data IV - Scrolling"
This Faxanadu update is non-technical in nature. I just want to clarify something. 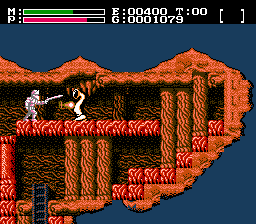 In the last updates I refered to the different levels of the game by name even though there are no official level names for that game. 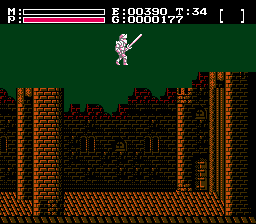 To make absolutely sure it's clear what I'm talking about this update contains a series of screenshots of the various levels and how I intend to call them from now on. 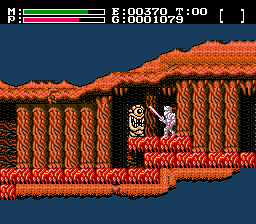 Continue reading "Faxanadu - Level names"
Continue reading "Faxanadu level data - Part III (Doors)"